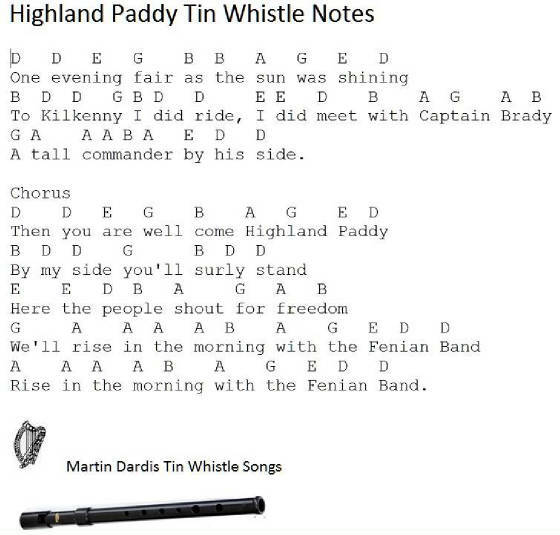 Highland Paddy Tin Whistle Notes. Played on a D' whistle. This song was first recorded by The Wolfe Tones and later by The Kilkennys. 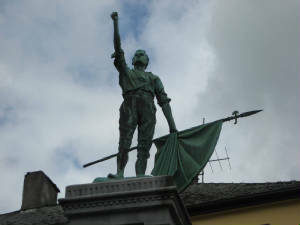 It was written by Sean McCarthy about The Fenians. The tune reaches the 2nd octave so there's a few high D's and E's to watch out for which are not marked in the music. Follow the youtube video which uses the same notes.